Well, hello there! I missed you guys last week! I took a week off from the blog last week to focus on other non-blogging things that really needed my attention, but I’m ready to get back in the swing of things over here! Obviously I got a little TOO into my break, because I completely forgot the link party on Friday! Oops! Oh well, hopefully that means y’all will have double the goodness to share this Friday, and I can’t wait to see what you’ve been up to! 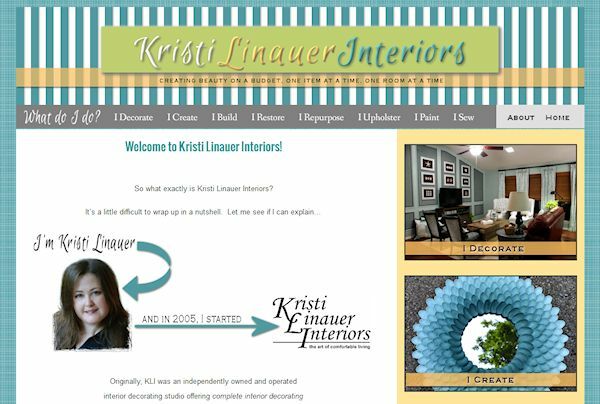 One of the major things I needed to accomplish was completely redesigning my Kristi Linauer Interiors website. For those of you who are new around here, you may not know this, but I was a a self-employed interior decorator way before I was a blogger. But over time, I’ve transitioned from “an interior decorator who blogs on the side” to “full-time interior decorating and diy blogger”. The problem is that my KLI site was still coming up as the #1 search result in Google for “interior decorator Waco”, so I was still continually getting phone calls from people wanting to hire me to decorate their homes…or part of their homes…or to spend an hour with them to give them decorating ideas…or to help them purchase furniture…or artwork…or accessories…or help them decide on window treatments…blah, blah, blah. Yeah, not interested. But there was my website, telling people that I’m available to help with all of the above, plus a whole lot more. It got confusing, and made me look incredibly flaky. 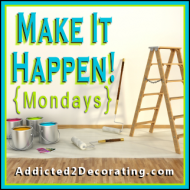 I thought about taking the website down altogether, but that didn’t feel right, especially since that’s my registered business name…not Addicted 2 Decorating. I felt like I needed to keep it, but over the last year or more, I’ve really struggled with how to incorporate my Kristi Linauer Interiors business and website into my life as a blogger. So after a lot of brainstorming and trial and error, I finally got it. I feel like I have finally successfully meshed the two together in a way that makes sense (and they even look similar!). I’m not finished with it completely (building a website from scratch takes such a long time!! ), but at least I finally have vision for it and know where I’m headed. Oh, and I finally have an About page! Yay! It only took me seven months, but it’s finally there. I kind of cheated and used the same one on both sites just to make it a little easier. Okay, enough about that stuff. On to the fun stuff! 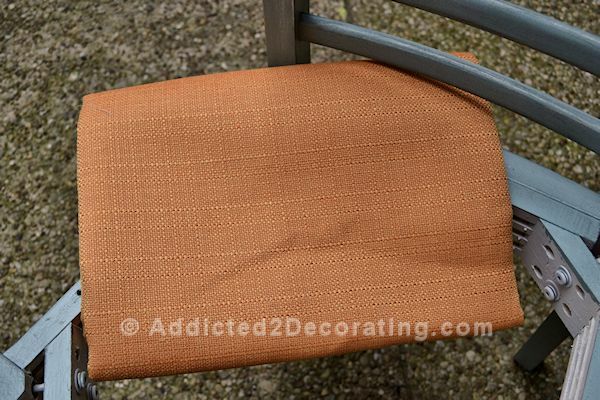 On Friday, I received the fabric that I bought for my dining chairs! Ready to see which one I went with? I actually didn’t end up going with any of the Tonic Living fabrics. 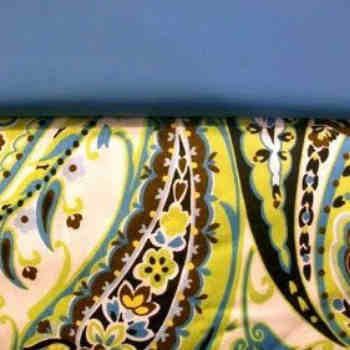 Instead, I went with one from Fabric Warehouse. (Thanks, Robin!) It’s definitely not the yellow orange of my door (that just felt too matchy-matchy), but it’s not so far off that it completely clashes. I can’t wait to get these chairs finished now!! No more excuses! So how was your week? 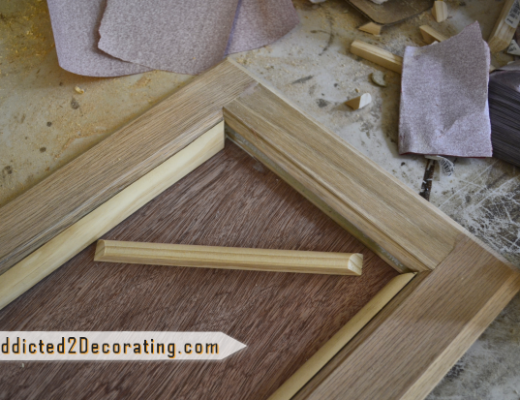 Did you get any lingering unfinished projects finished? I’d love to hear about it! 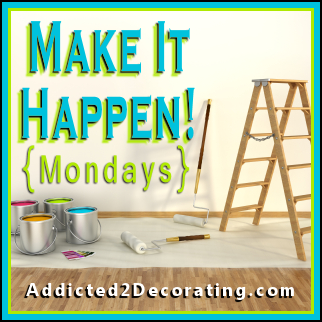 Make It Happen Monday…Let’s Get This Started…and FINISHED!! I used that exact fabric on an ottoman in our living room a few months ago and I LOVE it! It’s so thick, and I love the slightly retro vibe it has! Can’t wait to see it on the chairs! Your new site looks great!! it looks like it flows perfect from this site!! get off the computer and get some things done!!! 🙂 Have a great day!!! Well done on having a productive week off Kristi and welcome back. I had hoped to be sharing the completion of a sad little dolls house that I’ve been refurbishing – unfortunately, though I made progess I haven’t quite finished it. I do have a really really good reason why not…after three months of traumatic goings on with my current employer, today I’ve been offered a new job – yipee!! I received the application form on Wednesday, completed it Thursday morning and delivered it by closing time of noon. Was shortlisted Friday and spent the whole weekend preparing for the interview and a presentation. Today I did a 2.5 hour interview and secured the new post. I’m feeling happy but exhausted. In the meantime, enjoy the story of the dollshouse so far. I’m sorry Kristi, I didn’t even know you had another site. I just went there and think you did a good job explaining yourself. I’m loving this site and all the inspiration you give to me. Thank you. Glad you had a the time and inspiration to re-work your website. 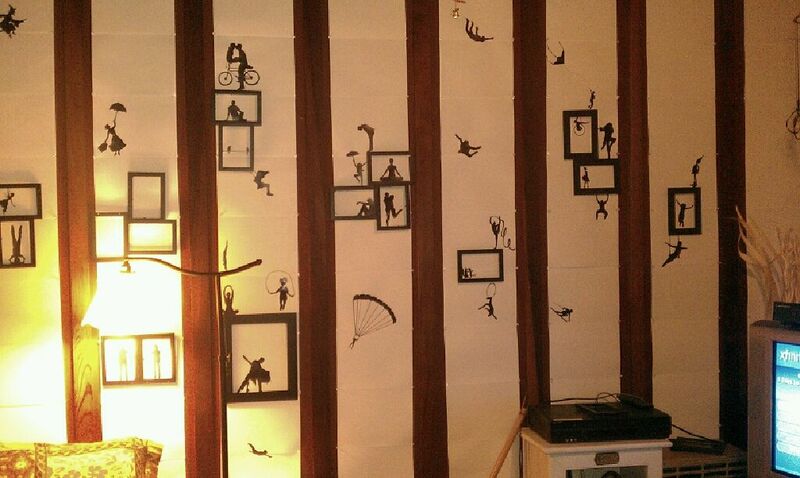 It looks great!!! But, I am a little puzzled as to why you are giving up your decorating jobs? Maybe I should have read your website first. Duh! I read the main page and thought you had explained things so well I couldn’t imagine what would be on the about page, but I think it did an excellent job not only fleshing out the story a bit more but echoing exactly what your message was on the front page – well done and consistent! Also think that the message is a good one, people who are looking for your help should want you to be enthusiastic about taking on their project! Love the look, so impressed you are doing this all yourself!!!! I did the impossible (or seemingly impossible). I cleaned out my entire side yard of all the junk that was covering up all my furniture finds. I don’t know HOW it happened, but I had so much CRUD (crap) that we filled up an entire UHaul truck, and my minivan!!! Augh!! I feel like my mission is to save things from land fills, but when it came right down to it, all the “stuff” i had dragged home that I thought I was saving from a landfill, was basically saving my city a trip to the dump themselves. They should be paying me this month, instead of me paying them! Anyhow, it feels amazingly free, I took pictures of all my inventory and am now categorizing it so I know what I have! I got through a lot of furniture already today. So glad the missing link party was just a result of being busy and not because you did away with it!